“Food Disaster: Republicans Stomp on GMO Labeling” – you can click on the title to read the whole article. In short, the U.S. House of Representatives Committee on Agriculture passed a bill to preempt every states rights to label GMOs. They just voted on it without any debate and the bill will pass over the Energy and Commerce Committee, and will go straight to the House next week. We are running out of time to stop that bill. Their only arguments were that labeling GMOs is too costly and GMOs are “proven safe”. Yeah, right! Both of these statements are false. Changing labels is done often, just look at a cereal package where they promote sports celebrities. Nobody cries that this is too expensive when they change their theme. But it is so expensive to put: Contains GMO – on a label, at least that is their argument. The truth is, if they label GMOs they are afraid that people will stop buying those products. Bottom line they will lose money and will sit on tons of GMO product nobody wants to buy. So for self preservation of the big corporations, especially Monsanto, they rather demand that small companies that sell organic products pay a fortune for having their products certified and then labeled. We should have the right to know what is in our food and we should be able to make a choice based on that knowledge. Yes, we can avoid buying processed foods, but even some of the vegetables are GMO. So unless you have a farmer or a farmer’s market that sells organic produce, you are out of luck. You have to take a chance on buying your produce at the supermarket. The same goes for meat. Unless you buy grass fed organic, you are eating GMOs. CAFO’s (confined animal feeding operations) feed their animals corn, which in turn is GMO corn. So if you buy conventional meat, you eat GMOs. Their second argument is that GMO’s are safe. Well, if they are so safe, why not label them? If GMOs are so good for us, why are they so afraid of labeling. If it is such a good thing, shouldn’t you proudly display it on the label? Guess not. 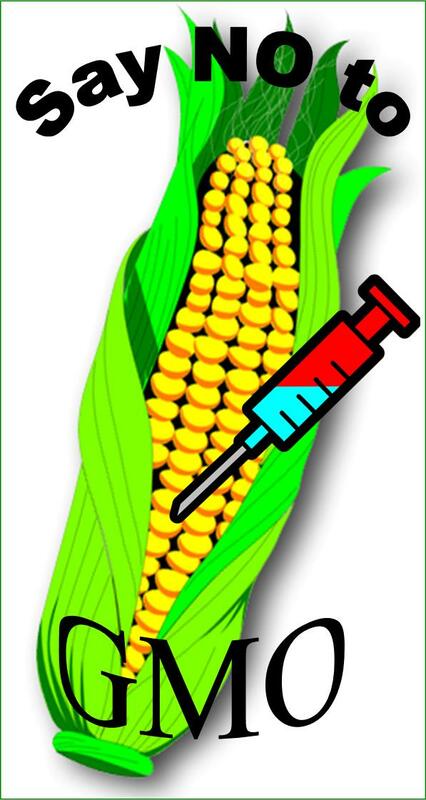 It is not easy for the public to get the real story on GMOs. Mainstream media just feeds us what the big corporations want you to hear. I remember a Monsanto Ad not too long ago. It had happy farmers and beautiful food and it wanted us to get informed on their website and join the Bigger Discussion…… It was nauseating to see this ad and now I found an article on WebMD sponsored by Monsanto – Be Part Of The Conversation. 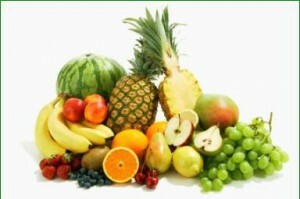 The best advise I can give is, be informed and buy organic fruits and vegetables, as well as grass fed organic meat. 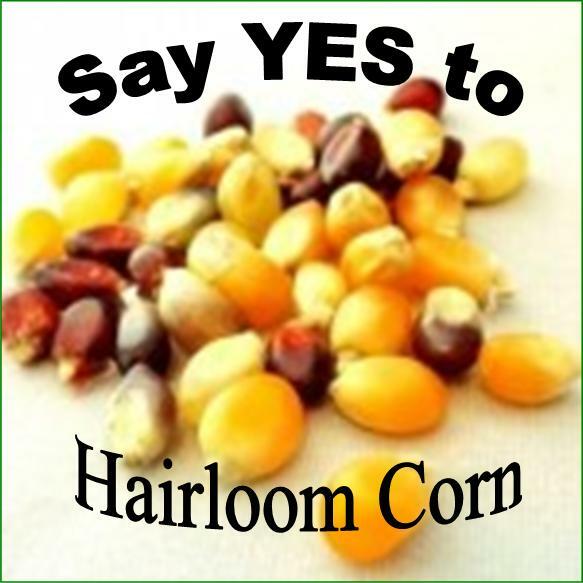 If you are a popcorn lover’s – there are heirloom variety corns. Make your popcorn yourself on the stovetop, hot air popper, or microwave popper (Presto Powerpop Microwave Corn Popper, Red ). Add some grass fed butter and a little salt. You got the best popcorn in the world, and you don’t eat preservatives that come in those microwave popcorn packages. For people who love corn and creamy corn, make it yourself. Buy organic corn at the farmer’s market, cut off the kernels and cook it yourself with a little bit of butter and/or heavy cream. It tastes better and is healthier for you. Best advise of all, cook yourself, then you know exactly what goes in your food. Stay away from processed products. It does not take much longer to cook a chicken breast with vegetables than heating up a TV dinner. Shop the perimeter of the store and avoid the aisles. If you must buy something already packaged – read the label. If it reads like the periodic table you learned in school – put it back down. Tomorrow I have a delicious cake recipe for you: Nut Cake -“Linzer Style”. In Austria it is called Linzertorte – but is originally made with sugar and wheat flour. We have substituted the wheat flour with almond and hazelnut flour, and the sugar with xylitol. It is absolutely delicious.